Chevrolet is spreading the Camaro influence to other products in its portfolio. Showed off in China, the Bowtie Brand presented its latest “Find New Roads” or FNR Concept, the FNR-CarryAll. 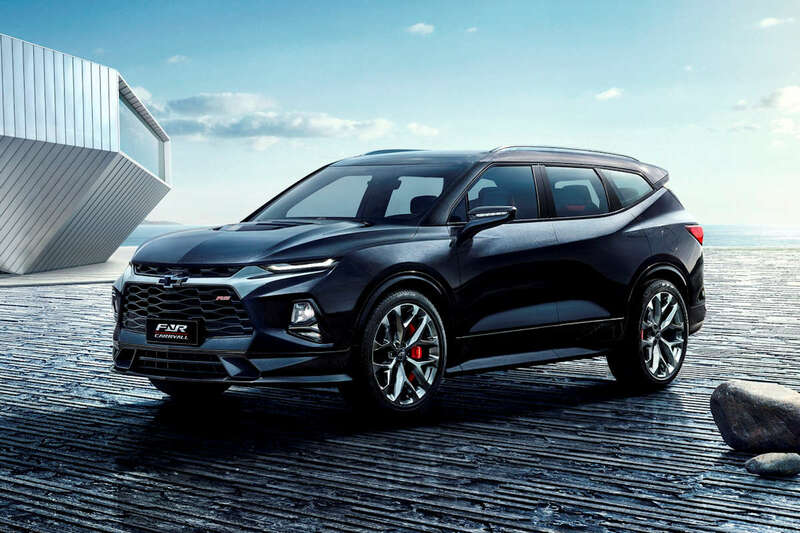 Reinterpreting Chevrolet’s muscular styling for an SUV body, the FNR-CarryAll Concept clearly draws inspiration from the Camaro with its strong face dominated by a large grille and sinewy headlights. Aside from its sportscar-like styling, it looks like future Chevrolet SUVs will also carry a new styling design trademark: a boomerang-shaped D-pillar. The FNR-CarryAll’s name is derived from Chevrolet’s first SUV in 1935, the Suburban Carryall. The concept SUV fully embodies the future development trend of Chevrolet SUVs, including their powerful capability, all-around comfort, and advanced connectivity technology. Measuring in at 5,000 mm in length, 2,258 mm in width, and 1,693 mm in height, the FNR-CarryAll Concept certainly isn’t pointing to the next production Trailblazer. Instead, the buzz is strong that the FNR-CarryAll Concept is actually previewing something akin to the Traverse. However, given that a new Traverse was just released to the market last year, and how the FNR-CarryAll looks production ready, it could also be a new SUV in the making. Either way, expect the Trailblazer and even vehicles like the Trax to gain the same design language soon. Inside, it has a 12-inch full LCD dashboard, along with a 10-inch touchscreen center console, and a second-row smart touchscreen. It also comes with premium amenities that include cantilever-type two-tone black leather sports seats with red suede accents, heating and air-conditioning controls for rear passengers, red backlit accent lighting, Camaro-inspired circular vents with satin chrome and red accents, and illuminated sill plates on the doors and trunk opening. Mitsu"s front design are being cppied by other car makers. It's a trendsetter by Mitsubishi designers. The gorgeous back tai ligjts design will soon too.